When done right, tech investing can be the single best wealth engine ever. One thousand dollars invested in Apple Inc. (Nasdaq: AAPL) 10 years ago today would now be worth $20,610; the same amount invested in Google Inc. (Nasdaq: GOOG, GOOGL) a decade ago would now be worth $5,228. Of course, not every company is an Apple-sized profit machine. That's why tech investors are always looking for a "Eureka!" moment. 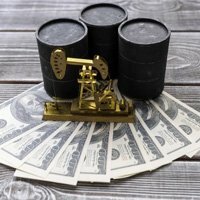 "The beauty of the 'eureka moment' is that you find a great long-term investment – and you get out in front of Wall Street and other investors," Money Morning Tech Specialist Michael A. Robinson told readers in February. Back in 2012, the two authors published Abundance: The Future Is Better than You Think. That book debuted at No. 2 on the New York Times best seller list, and also launched at No. 1 on both Amazon.com's and Barnes & Nobles' best seller lists. And Bold itself just hit No. 2 on the New York Times business list and has been there for five straight weeks. Together in Bold, Kotler and Diamandis talk about how tech entrepreneurs come to be successful – not just in terms of wealth creation, but also in terms of having a worldwide impact. They preach "to become a billionaire, help a billion people." The innovators in focus will drive the sector's best wealth-creation opportunities for years. That's why this 336-page manifesto – that wasn't explicitly written for tech investors – has more to offer them than any other book due out this year. 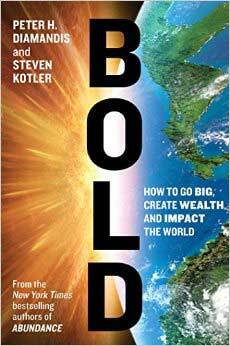 I phoned Steven Kotler to talk more about Bold and tech investing in 2015. He talked about how to spot a disruptive technology, his favorite sectors in tech right now, and why two U.S. CEOs are his favorites today. Money Morning: Steven, thanks for taking the time to talk to our readers. First, I'd love to know how the average tech investor can recognize a technology that will disrupt markets. Steven Kotler: We don't think it's tricky. Technologies become exponential once they become information technologies (that is, can be translated into the "ones" and "zeros" of binary code). 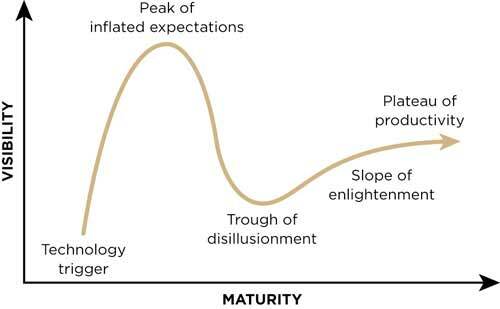 That's when it hops onto an exponential growth curve – the Gartner Hype Cycle. There are 10 technologies right now on this growth curve – but all of these go through the six Ds first. Digitalization: The technology can rapidly advance and becomes "exponentially empowered." Deception: Enormous exponential growth is not noticed by the players in the field. Disruption: The old business processes don't work well any more. Demonetization: There is no longer much money in the old business model. Dematerialization: The tech advancement is making entire product lines disappear. Democratization: The tech becomes available and affordable to just about everyone. Right now a lot of these techs are moving out of deception and into disruption, like Uber and AirBnB. But specifically what we look for is a user-friendly interface that a company can build a business on – that's our signal. For instance, look at the invention of the web. It had been around for 20 years, but only scientists and the military used it. Then Marc Andreessen came along and created Netscape, a user-friendly browser. Suddenly everyone can play, and you immediately get exponential growth. People got online. Then small businesses were built around it. MM: What are some examples of tech subsectors that are just now developing user-friendly interfaces? SK: Right now, 3D printing can disrupt the factory segment. Now there is a user-friendly interface for 3D printing and it's so easy a child could use it. A woman recently used a 3D printer to create makeup – the cosmetics industry is $265 million. She was a Harvard grad living with her parents when she figured this out. Also, robotics. Artificial intelligence is on the way. It's not quite user-friendly yet, but it's getting there. And so is healthcare. MM: We think AI is one of the most fascinating – and eventually profitable – areas of tech to watch today. What else do you consider among the most exciting tech subsectors right now in terms of growth and opportunity?